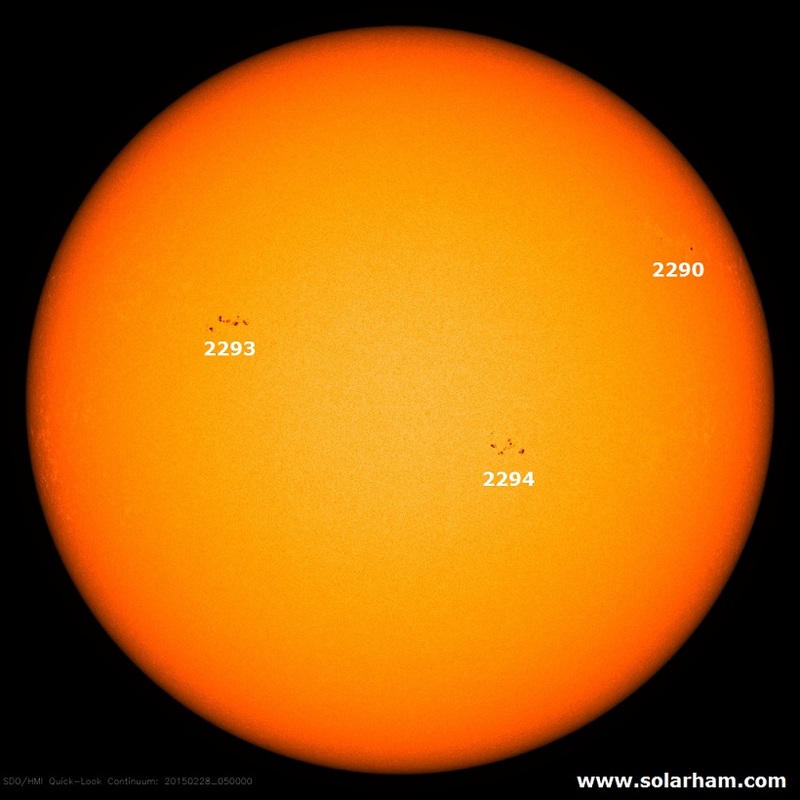 Solar activity is at C-class level. A new active region (NOAA 2294) has emerged south of NOAA AR 2292 and evolved into a beta-gamma configuration of its magnetic field. It produced a C5.6 flare peaking at 09:39 UT. A possible associated CME will be investigated when the images become available. More C-class flares can be expected, with minor chances of M-class flaring. Geomagnetic activity has been quiet, the fast speed solar wind from the southern polar coronal hole may arrive in the next hours raising conditions to active levels with isolated minor storm periods possible.